Festivals and events are incredibly popular this time of year, which is great for companies who are looking to increase their brand awareness. Companies can get a large audience sample at festivals and events to market their brand. But how do you capture the attention of a crowd? Subtlety is not to be practiced in a setting where competitors can be right around the corner. Choose BOLD on-brand colors and fonts that will capture the attention of every event goer. Use items that are native to outside events, like tents, to your advantage. 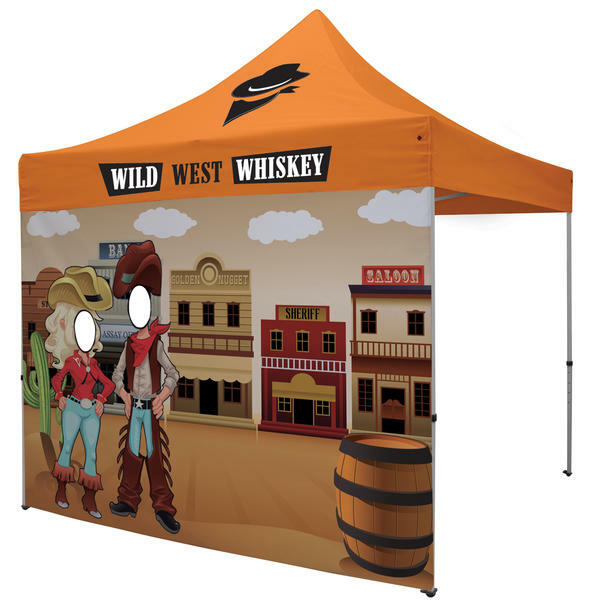 Try to invest in quality tents that can become a staple item at every single one of your company’s event. 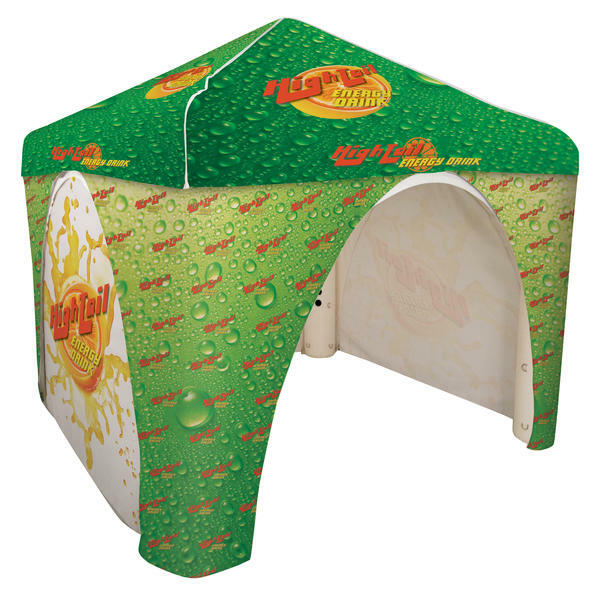 Get branded tents with bright colors or intricate designs to peak the interest of attendees. Or, make a statement with a large inflatable tent. 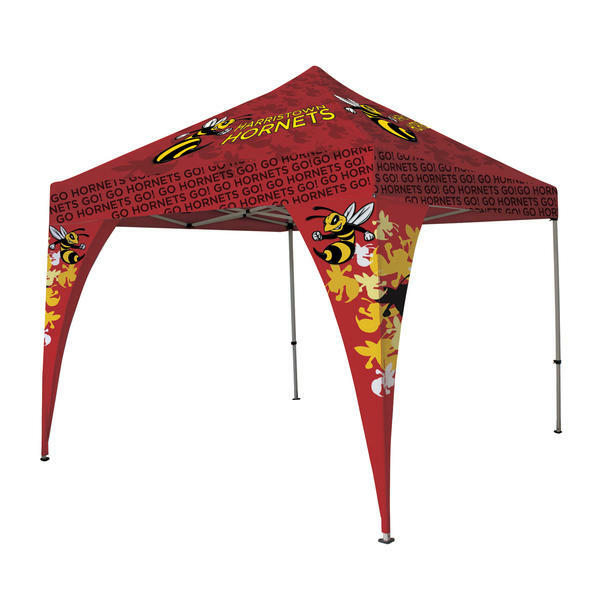 You can also turn your shade provider into a form of crowd pool by using interactive tents. These tents can double as games or photo opportunities for attendees. This guarantees your company some participation from your audience! Outdoor events always need beverage stations. 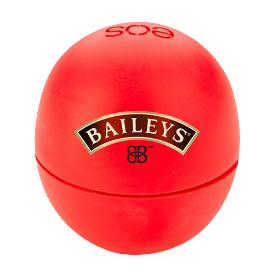 Become a meeting point for attendees by providing custom branded beverages or even treats. 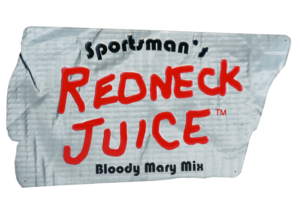 You can custom print your own branded label on water bottles, or even fully wrap an energy drink with your personalized artwork or logo. But drinks aren’t the only thing that can relieve attendees from the heat. 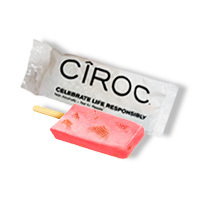 If you want to get a bit creative, inquire about custom producing popsicles. 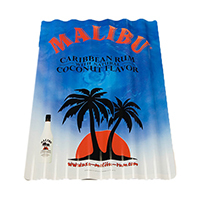 These come in a variety of flavors and the packaging can be custom printed with any logo or artwork. 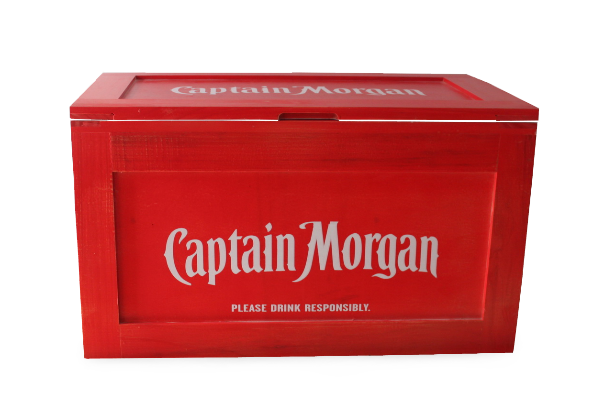 Customize rolling barrel coolers with your brand to go hand in hand with your custom drinks and treats. 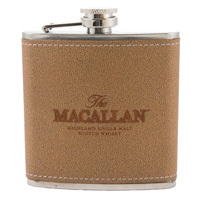 These products are tremendously popular during events and keep your items cool all day long. 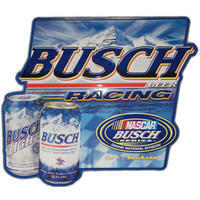 The 72-quart coolers carry a full color wrap that you can customize with your logo or any graphic you’d like. The standard rolling barrel coolers, carried by The MRL Group, are commercial grade, which means your company gets the best of the best! 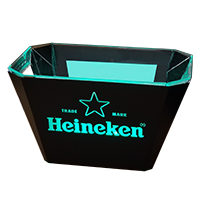 These coolers are double insulated, they do not sweat, and have a convenient drainage system, making it easy to clean after every event. Want more ideas on how to make a splash this summer? Contact a team member and explore your options! Learn how promotional products impact audiences and how it can benefit your company. 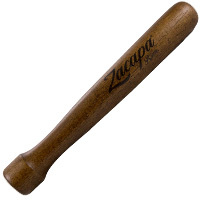 We have been in the industry for well over two decades, and we always notice apprehension from those shopping for promotional products for the first time. We are in the age of technology, and most marketing teams gravitate to perform sale and brand strengthening efforts solely online. But, because technology is prominent, it does not always mean that it’s the best way to reach your audience. As experts in the field, we like to educate our clients and potential future clients on the effectiveness and affordability of promotional products, point of sale items and point of purchase items. Let’s look at the numbers and explore how your business can benefit from a little promotional product TLC. Although you MUST have some type of online presence, pure online marketing alone will not guarantee exposure, especially if you are a new business or pitching a new product with little following. That is why many of these businesses gravitate towards promotional products to increase their brand awareness. PPAI, one of the largest service providers in the promotional industry, connecting suppliers and distributors alike, has released their analytics for 2017. These were conducted through large sample surveys from consumers. Unlike the above, only 20% of people said they discard or pass along promotional products. 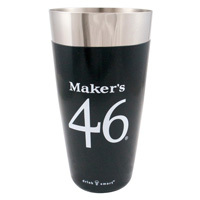 The odds are already in your favor by adding promotional products to your marketing strategies! Our team has learned to quickly identify clients’ target audiences! Although our priority is to provide clients with the best quality and pricing as fast as possible, we dig deep, to the root of the project, in order to achieve the best results. For what will this product be used? What would I like to achieve from this marketing effort? Would I like to increase sales, attain new leads, or simply increase brand awareness or online traffic? Focus beyond the product. Focus on your company’s goals! Let’s take a closer look at what the survey had to say about how the general public reacts to promotional products. Consumers reported that they remember receiving at least one promotional product in the last 6 months. 70-85% of consumers said they recall the brand, the message, or the call to action. And to top it all off, 83% had a favorable impression of the advertiser after receiving the product. But why do consumers feel this way about promotional products? Chances are consumers are keeping the items at home, on their own person, in their vehicle, or at work. These are high traffic areas; areas that the consumer will see daily, hourly, even minute by minute. This increases the product’s visibility and your brand’s exposure, which automatically increases brand retention. …continue to thrive. These are the most purchased products in the industry, according to the PPAI report. And from our experience these are some of the most requested products. How do you use promotional products as a marketing tool? Most companies want to use promotional products to create brand or product awareness, retain or appreciate existing customers, generate conversions and referrals, or drive traffic to a website or to a real life store/office. These are goals that can be easily achieved through promotional products. But through which strategies can we achieve these results? We’ve worked with several companies that have reached great results by using promotional products alongside other forms of marketing media such as social media, email marketing and sales promotions. Most of these mixed media marketing strategies include social giveaways, contests or gifts with purchase. Free products, or the chance to win a product, increases the probability that someone will click your link, give personal information (like an email or phone number) or simply visit your site or store. Similarly, doing gift with purchase incentives or custom producing value added packaging increases the chances that your product will be chosen over the competition. Don’t want to get too fancy? 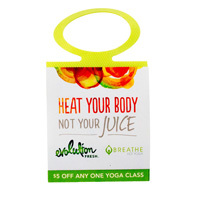 Use promo products in their most natural form, at events or trade shows! 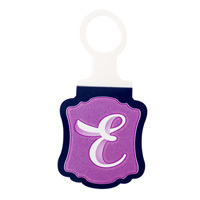 Promotional products have a physical pull on those passing by, especially if it’s a free and desired product or sample. 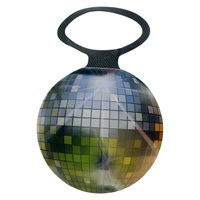 Using promotional products as a form of crowd pull is a great strategy to use at trade shows or events. These products come in all different shapes, sizes and mediums, so get creative or ask our team how you can be the focus of your next event. Using statement pieces like inflatables, rolling banners, and bright table covers are a great way to catch every attendees’ eye. Then, draw them in with on-trend gifts they cannot resist! The past year and even now Bluetooth-compatible gifts and tech accessories have been on the rise. Most recently we’ve seen increase in Bluetooth speakers and accessories like the Popsocket®, SlingGrip® and stretchy phone wallets. This initiative is constantly and often solely used to increase brand awareness. And according to PPAI’s research it is fairly effective. 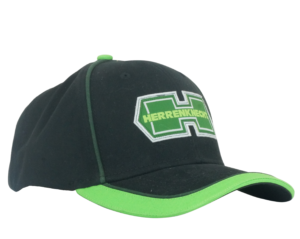 About 79% of people who receive a promotional product look up the brand. And even 83% of people said they are more likely to do business with the brand. So think carefully about the products you will give out at your next event. And if you’re feeling stuck, call an MRL team member and discuss the possibilities for your business. We already know that promotional products are used to create new leads or to attract new customers. But, once you’ve acquired your lead or customer, then what? Promotional products are also often used as a form of recognition or retention. Have you ever gone to a store and they’ve asked for your address? Or email? 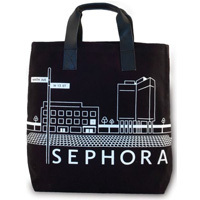 And soon after you receive a branded gift in the mail or an email with a branded gift offer? 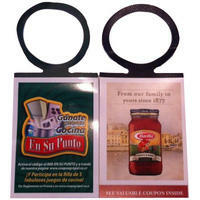 This is another way that you can utilize promotional products. They are also often used as form of recognition and retention for employees or partners like influencers. 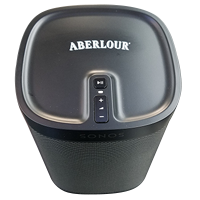 Our team has created several of these products that appreciate partners, employees and existing customers. Check out some of our work below! How does The MRL Group help companies like yours succeed? Our team is a research machine. We are always searching online, and in our daily lives and events, for the most desired and effective products. We scan our environment for products that could potentially enter and become relevant to our industry. Take for example the popularity of the fidget spinner last year. Although the fidget spinner entered commercially for the general public, we quickly identified that the product’s desirability could provide companies with the exposure that they sought. We soon after found ourselves custom producing Fidget Spinners for companies like the Miami Heat, Bacardi and Douglas Elliman Realty. Our company helps clients identify which products will achieve results, by pinpointing long term and short term opportunities. For example, the fidget spinner product would be considered a short term opportunity. Fads like these are common, but are not made to last. Many will lose their shine within months to a year. They are great exposure while they are all the rage, but soon after that they fall flat. This is why items like the fidget spinner are great for quick exposure and short term goals. You can use them as a small gift incentive to have customers sign up for an email list, or visit your site for the first time. Short term and long term goals helps our team identify what items within your budget will provide you with the results you are looking for. Want to learn more about the power of promotional products? Contact us today and we’ll lead you to success! Want your brand to be noticed, but have limited budget? Go traditional with custom signage! One of our favorite types of signage, because of its durability and affordability, is metal tacker signs. Metal tacker signs give you a level of versatility that other type of signs don’t. The metal is sure to last you for years to come, and some even look better as time goes on, they eventually get that authentic vintage look. If you plan of using them outdoors, you can easily request that your metal signs are coated to make them more weather resistant. Apart from coating options, the possibilities for metal tacker signs are far and wide. The best part about this effective marketing strategy is that you do not have to sacrifice quality over visibility. 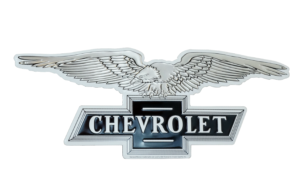 Metal signs can be custom manufactured out of steel, aluminum, stainless steel or porcelain. 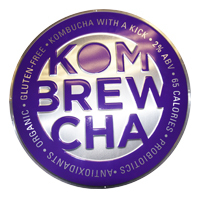 You can even go a mix media approach and turn your metal signs into chalkboards or clocks. Metal is also a very friendly material to work with, that’s why you can easily die cut your metal tacker signs to any shape or size. You can also request unique embossing techniques on your metal tacker signs to achieve a 3D effect! Check out some of our work and capabilities below and get inspired! These signs look native in different settings, whether it be at events, restaurants or bars. They’re a non-invasive yet effective form of marketing. 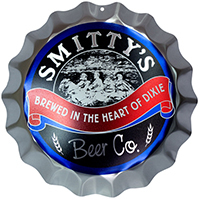 Often times metal signs can be the only source of advertisement at an establishment, so make it count by custom producing an eye-catching piece your clients won’t miss. Let’s create something vibrant and colorful that will grab and hold the attention of potential customers. As a one-stop shop for all promotional marketing materials, our team can sketch your ideas and bring them to life, all within your budget. So let’s get sketching and contact us to create an attractive metal sign that will expose your brand to the masses. Imagine being at a grocery store or liquor store. You are torn between two equally priced products. 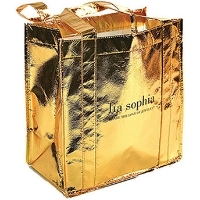 They are both beautifully packaged in a way that exudes credibility and quality. The only difference between the two is that one has a sample product hanging off its bottle neck. Which product do you take home? It has been proven that hitchhikers and bottle neckers hold weight in whether a product will be chosen over their competitor. Adding a sample product, recipe or coupon increases the perceived value of the product and makes customers feel like they are getting more than what they paid for. That is why these products are vastly popular at stores, they are the perfect way to influence customers and increase sales. 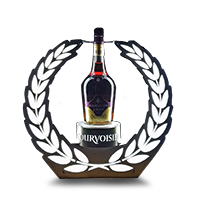 Our team is an industry leader when it comes to bottle neckers. 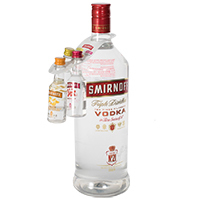 This point of sale strategy is one of our most effective and we pride ourselves in providing solutions through top shelf bottle neckers. Often referred as a rubber bottle necker, the ElastiTag® (shown below) is actually latex-free unlike rubber and is largely popular in the industry. 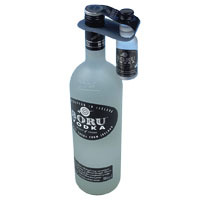 The elastomer base ensures that whatever the bottle necker is holding stays in place. The elastomer loop is remarkably strong and ensures durability in a busy setting like grocery stores or liquor stores. You can get the elastomer loop in a variety of colors to match your product and brand. 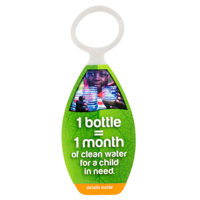 Bottle neckers can also be printed on paper, vinyl, plastic and polypropylene. You can even request to custom produce it in any shape or size. 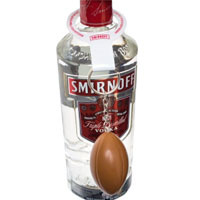 Bottle neckers are a unique and effective way for brands to share their story and goals with customers across the world. 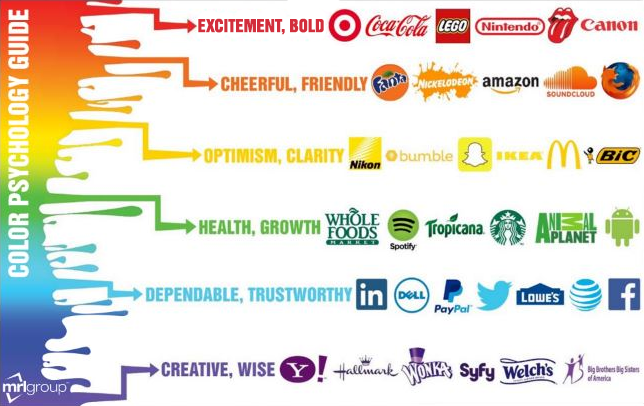 It is especially great for new brands that are trying to emit what they’re all about. 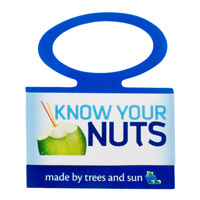 These nifty point of sale items are a great way to directly connect and communicate with your target audience. 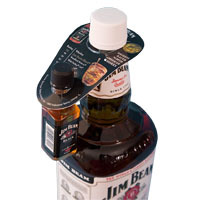 As the above scenario, bottle neckers can also hold a sample product or gift for your customers. These are commonly known as hitchhikers or on-packs. Providing sample products or trial offers is a way to nurture your clients, entice them to venture further into your brand and advertise your extensive range. Whether you’re adding on a lightweight packet, 50mL bottle or even a compressed t-shirt, customers will appreciate the attention to detail. 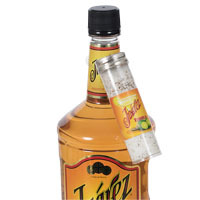 Overall, bottle neckers are a popular and effective choice because of their ability to engage potential customers, increase sales and their high ROI. Even if your company spends thousands of dollars on advertisements and other forms of marketing, none of it will make an impact on customers making an on-the-spot decision. 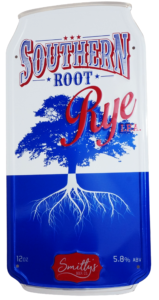 Bottle neckers take care of this by providing the extra influence necessary to skew the customer’s choice in your favor. This simple technique can be used for any occasion; the release of new products, holidays or sports seasons or new partnerships with other brands. Or you can simply use it to introduce your brand or launch an effective rebrand. Explore your options with bottle neckers today! With years of experience, our team is here to help and guide you to success. Our team does more than just bottle neckers! 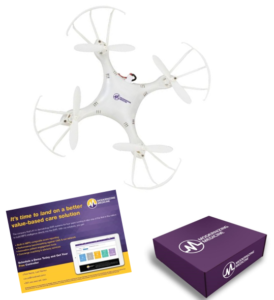 We are a one-stop shop for all promotional marketing solutions. 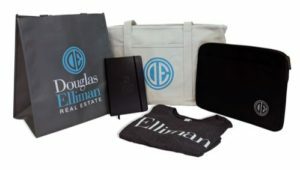 Whether you are looking for your next big-ticket giveaway item, premium kits or even floor displays, our team can help. You’ll immediately notice our extensive range, that’s why some of the biggest brands in the country have chosen MRL Promotions as their lead provider for all promotional marketing strategies. Want to learn more about our capabilities and how you can implement them into your business? Contact a team member today and tell us a little bit about your company and goals. We’ll be more than happy to have a conversation about creative strategies that can assist your company to shine! 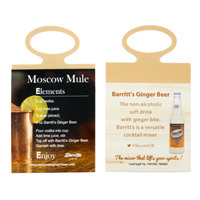 We absolutely love wood point of sale items. Wood is a durable and versatile material that can be used in plenty different forms to give your products a special and classic look. One of the best aspects about wood point of sale items is that they look native to their surroundings and do not feel invasive. As we visited before, products that look like they belong in their surroundings are sometimes the best way to promote a brand. 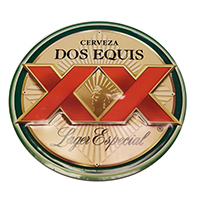 One of the most popular options, usually for bars and restaurants, are barrel head signs. 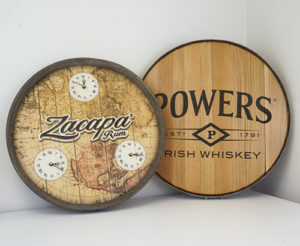 Barrel head signs are a preferred way to promote a brand because of their ability to double as décor for businesses. 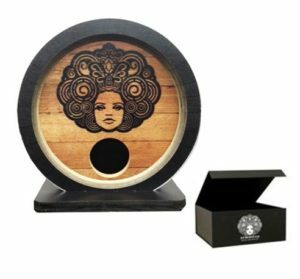 These point of sale items can be custom made from authentic barrel heads or can be custom produced from non-authentic products for a more cost-effective option. 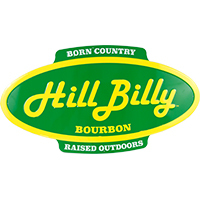 Barrel head signs are a great way to shed some light on a brand while still maintaining a business’ aesthetic look. 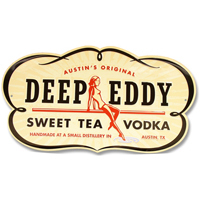 Authentic barrel head signs are perfect for businesses trying to provide patrons with an experience. 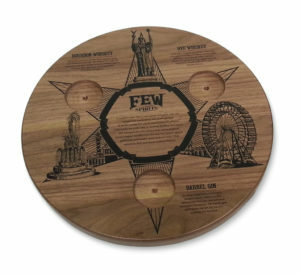 Authentic barrel pieces contain the history of the barrel they came from, so for whiskey or wine businesses, this can be a way to have a little piece of the distillery off-premise. 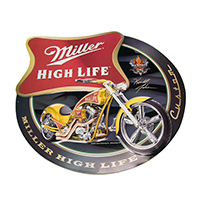 Wood barrel head signs are incredibly long lasting and have a variety of options to ensure that your product is completely unique. You can use metals as the rim to give it a polished finish, turn the barrel head into a wall clock or cover it in your brand by engraving or printing right onto it. 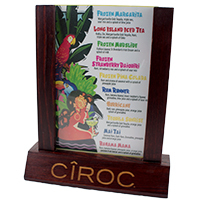 From the walls of your business to the back of your bar, wood point of sale items can make an appearance. 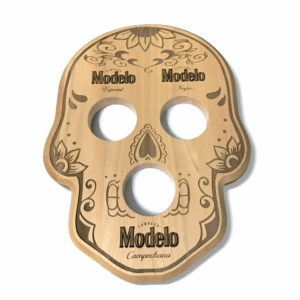 We visited the effectiveness of wood flight trays in a previous post, but there are several other products that can ensure patrons notice your brand. 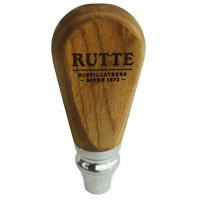 Among these are wood back bar displays and wood bottle glorifiers. 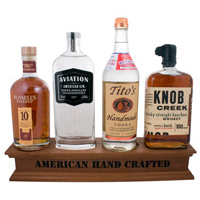 Back bar displays and bottle glorifiers come in a variety of materials, but once again wood is a crowd favorite due to its long lasting capabilities. 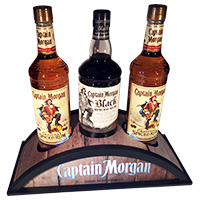 Wood bar displays are the perfect way to frame certain products. 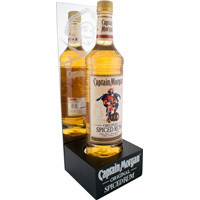 By simply creating a branded pedestal for your bottles you can push the brand and make sure the product is visible for patrons to order. Wood back bar displays can also be paired with lighting to literally shed light on your product. Explore your options and get creative! Want something a little more classic? Bring the process of wine and whiskey making into the bar and make customers feel part of the experience with custom oak barrels. 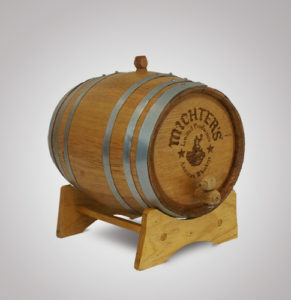 Oak barrels are a great way to present your product and give it an authentic look. Whiskey barrels are hard to ignore, they act as a staple piece and focal point for your bar. 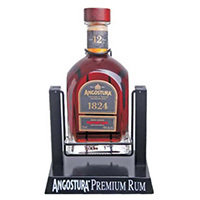 The experience of getting liquor or wine from a barrel is different than getting it from the bottle. Patrons will appreciate the effort and it will most certainly be a conversation starter. 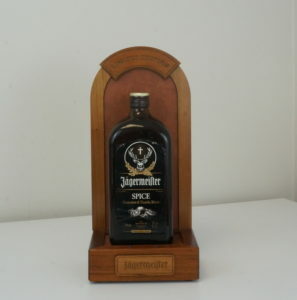 Check out some of our past wood back bar displays and bottle glorifiers and get inspired for your next project! 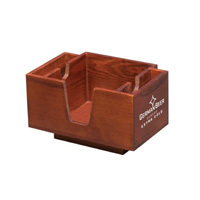 Wood point of sale items can be widely found at restaurants and events. Browse through more of our past work below, you might find something that could be useful to your business! If you can think it we can produce it. Contact a team member today and explore your options. 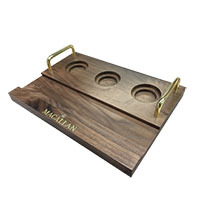 With the rising popularity of craft whiskies and beers, flight trays have become one of the most used point of sale items in nightclubs, bars, and restaurants. 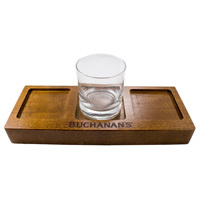 Flight trays are the perfect product to entice customers to try a variety of drinks instead of just one. 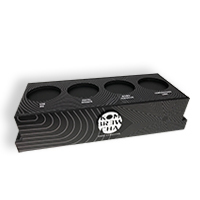 Flight trays can hold sample-sized drinks which can leave the customer with a thirst for more and potentially increase sales. 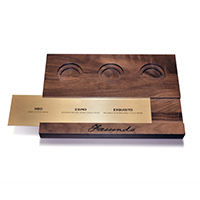 These point of sale items are great for on-premise tasting programs, private tastings, and experiential dinners. Use them as an introductory course for new patrons, as a compare and contrast activity, or simply as an effective serving tray. 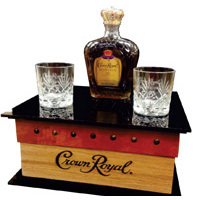 But, flight trays are not only limited to the liquor industry. 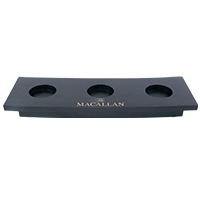 These point of sale items can be used as sampling trays for any product. 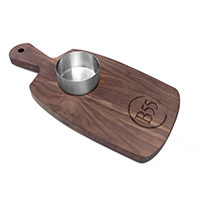 Use them to hold samples of juices, sauces or even ice cream. Because flight trays are incredibly versatile and can be used for a variety of products, they can be custom produced to meet your needs. 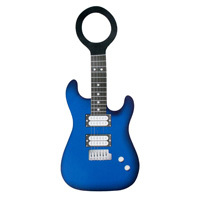 This makes them an incredible promotional product because you get optimum creative reach! 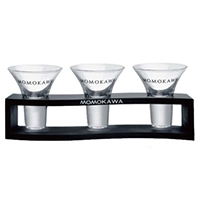 Flight trays are more commonly seen in their paddle style as displayed below. 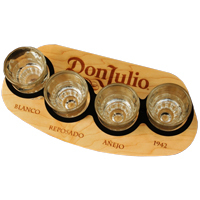 These are typically wood flight trays that would be used for beverages like whiskeys or beers. 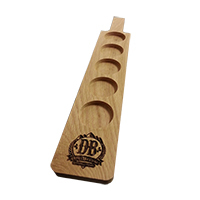 The wood flight tray paddle style is mostly popular because it is easy to carry several drinks, all without spillage. 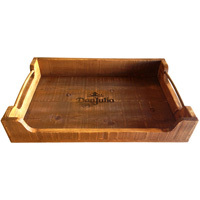 Although the style above is very popular, flight trays can be custom produced to any size or shape! So there’s plenty of creative room, just look at some of the examples below. 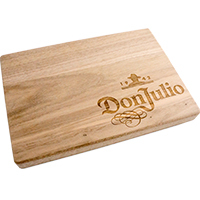 Flight trays can be engraved or printed with your logo or art and they come in a variety of materials, the most popular being wood. Flight trays can also be mixed with other materials like metals or chalkboard inserts to give them a unique touch. 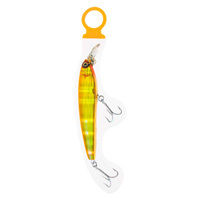 They can also be custom produced fully out of acrylic or metal. Are Flight Trays a good marketing strategy? Yes! The longer a point of sale item stays close to your customer the higher the chances your brand will be retained. 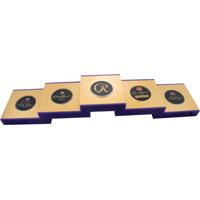 Flight trays are also an ideal point of sale item because they can promote different products or flavors all at once. 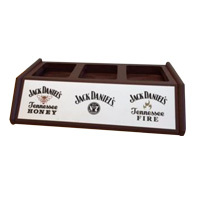 You can engrave several product names to promote your best products, all through one tray. Do you change your advertised products daily or weekly? 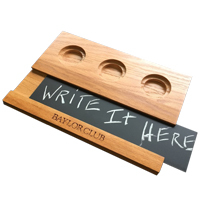 No problem, a flight tray with a chalkboard insert might be the best solution for your business. Change your specials as much as you want with a chalk insert. Our team of designers has the experience and expertise to provide you with flight trays that meet all your specifications. MRL has custom produced some of the best flight trays on the market, by paying attention to detail and using only the highest quality materials. Our team of experts make the process seamless. We are always prepared to make your vision a reality, all within budget. Contact one of our team members today and get more information on how to effectively market your brand though custom flight trays. If you can think it MRL Promotions can produce it. Browse through some of our other custom products below. Contact a team member today and find the perfect marketing solution for your business and brand. The key to success for a lot of bars and restaurants is staying clean and most importantly organized. Working in a high-paced industry means bigger risks for human error. But, there are many products that can ensure a clean surface and quick production. 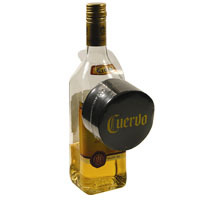 One of these popular products are Shot Dispensers. 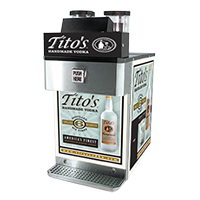 These machines ensure that you pour the right amount every time so you get your money’s worth. 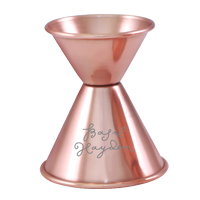 Your business will cut down liquor cost by pouring accurately every time. 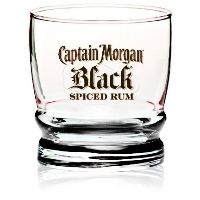 They also keep your liquor at perfect temperatures and ensure your drinks have the same consistency every time. 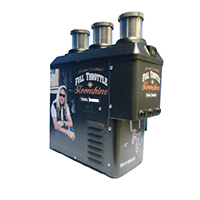 Some of these shot machines can even hold more than one type of liquor at a time! 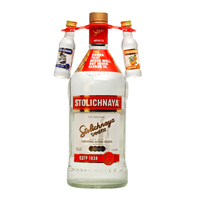 Shot pourers are not just efficient to monitor your liquor spending, they’re also the perfect marketing platform. 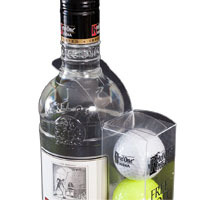 These point of sale items sit well in the back bar and are small enough that you can move them around your bar as you feel fit. 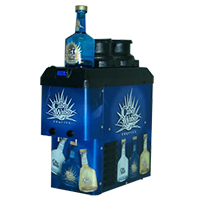 All Shot dispenser machines can be wrapped in any design or brand, which can make them an ideal focal point for your bar. Add a pop of color or leave the machines’ shiny metallic surface exposed with your brand’s name to catch the attention of your patrons. 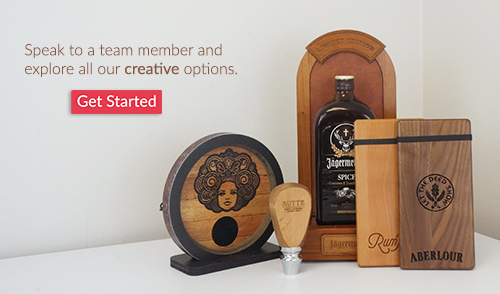 Want to increase sales for a particular liquor or take part in cross-promotional marketing? 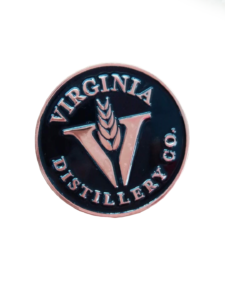 You can custom produce a unique full color design that can highlight that specific product and call attention to anyone approaching the bar. 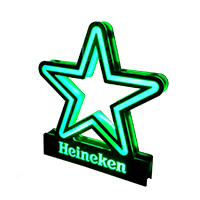 So, what makes this the perfect point of sale item for your bar? 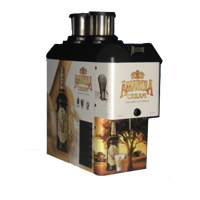 Shot dispenser machines, also known as shot chillers, are located in prime marketing real estate. The best place to promote a product is during transactions, this ensures your customer has your full undivided attention. At the bar is where many transactions occur, patrons are ready to spend! 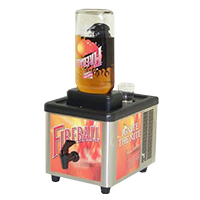 Shot dispensers are also one of the few point of sale products that are not only effective in promoting your business and products, but efficient for you and your team. Give your team the tools necessary to meet the high demand of your business. 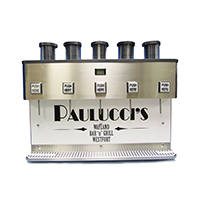 Shot machines are a great addition to keep up with never-ending drink orders. 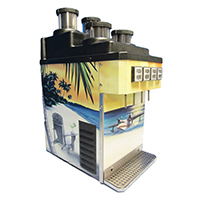 In addition to being a prime marketing tool and efficient bar addition, all shot dispensers come with a toll free number on the machines. So, in case of any questions or issues with the product, you’ll always have a helping hand. 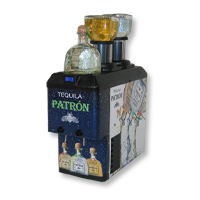 Using shot dispenser machines as a point of sale can seem like a difficult task to accomplish and expensive product to produce. Fortunately, MRL Promotions makes these orders simple, fast, and on budget. 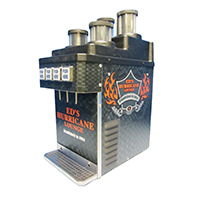 Shot machines come in all sorts of different sizes and styles, which ensures that you can get something within your needs and budget. So get creative with your marketing strategies! Many products out there have dual purpose, where they can enhance your day to day business and your brand visibility/brand awareness. Check out some of the shot machines below and get inspired! If you want more information about these point of sale items, contact one of our team members and we’ll be happy to provide our expertise! Environmental efforts are on trend. As a result, reusable, recycled and biodegradable items have become more prominent in the industry. The scales skew with every incoming environmental ordinance. The most recent one being plastic bag bans and taxation. These efforts intend to lower the production and waste of non-biodegradable materials, such as plastic. Since single plastic bag use is a contributing factor to this issue, some cities and states are mandating businesses to charge customers for plastic bags. Although many are for environmental preservation efforts, this change can present itself a bit inconvenient for business owner. But, don’t fret! Our many years of experience tells us that this might be a prime opportunity for businesses’ growth in marketing efforts. Here are 3 ways the plastic bag ban is benefiting businesses. 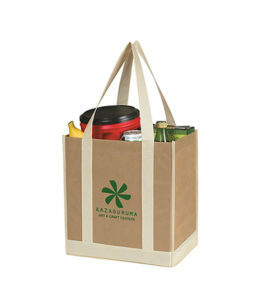 As a recent ordinance, consumers expect change in relation to shopping bags. 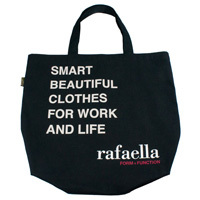 This is great news for promotional items like tote bags! 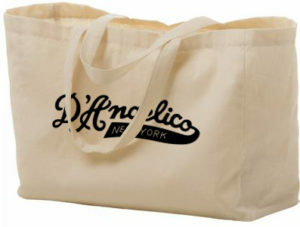 As an alternative for plastic bags , tote bags will not seem like a marketing stunt. One of the biggest obstacles to overcome when providing promotional products is to lower their invasive nature. The item has to have enough appeal, perceived value and demand. Otherwise, customers will feel like a walking billboard. This transitional climate from plastic bags to other bag alternatives eliminates the products invasive nature. 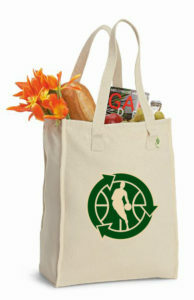 Non-woven and other reusable bags will become highly desirable to customers. 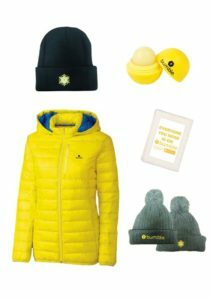 Their appeal to customers and reusability will be incredibly beneficial to a business’ brand visibility. Think about how many times a week customers go shopping, now amplify that by the entirety of your client base. 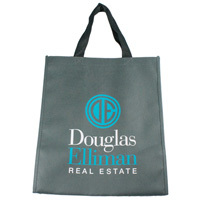 These could be hundreds of branded and personalized tote bags in your customer’s home, car, and their own person when shopping. This is an ideal and prime opportunity to increase brand awareness. But, with change comes effort to adjust. Luckily for businesses, distributers like MRL Promotions exist. 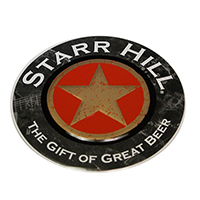 Companies like ours ensure that ordering promotional products is an easy and smooth process. By providing an idea of your brand, time frame and budget, our product specialists can compile several product options for you to choose from. Or, we can always custom produce your ideas into reality. We oversee projects from beginning to end, ensuring that you get a beautiful product all within your budget. 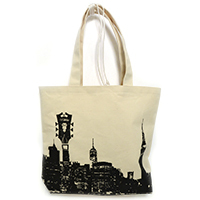 Check out some of our past tote bag projects below, and get inspired! If want to jump on this marketing opportunity call us today to explore your options. The bag ban will also be inconvenient to some customers. Getting free plastic bags for groceries has been the norm for many years. So, although some customers may expect change, it doesn’t mean it will be an easy transition. Take this opportunity to nurture your customer. Educate them on the recent change*. Let them know that the plastic bag fee will be in effect at all businesses in your area. Then, be quick to provide them with a solution to leave a long-lasting impression! Customers might not mind paying 5 cents for a plastic bag the first time around, but those pesky fees pile up. Provide customers with a solution that will be more affordable in the long run. 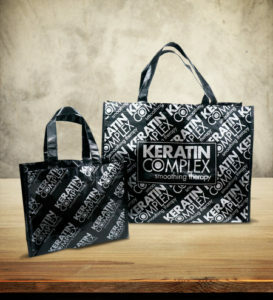 We already spoke about the non-invasive nature of promotional tote bags and their benefits for brand visibility. But, providing clients with immediate solutions during a time of change can also potentially impact brand loyalty. Branding is more than colors and text fonts, it’s about the message you emit to customers; it’s the voice and character of your company. Show customers that you care about their every day comfort, not just when they pull up to your register. 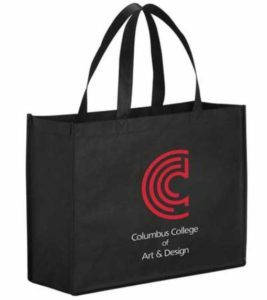 Providing customers with a branded reusable tote bags will show that you want them to have a pleasant shopping experience every time, whether it be at your business or not. 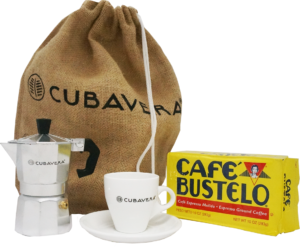 You can provide these as complimentary giveaways or charge a small fee. Regardless of whether you charge a fee or not, this is a much more affordable and practical solution for customers than paying 5+ cents for each plastic bag every time they go shopping. Providing an immediate solution to current change will emit your company’s effort for fast response and customer satisfaction. And research has shown that customers are much more loyal to brands that understand their needs. Being one of the first to provide a solution can potentially result in returning customers and a positive outlook of your business. Environmental preservation efforts are making a rapid climb in the industry. Be one of the first to take the changes head on and set the standard for other businesses. This is a perfect opportunity to get creative with your promotional products and find a new way to emit your business’ sta tement and brand. Communicate with your customers directly through a highly useful and green product. Show the general public that your company is forward-thinking, aware of recent changes and a pioneer in new trends and efforts. Have questions on how to market your business through promotional products? Our agents are here to help, contact us today and we’ll make sure your brand gets the attention it deserves. *Not all cities or states in the US have implementer plastic bag bans or taxes.